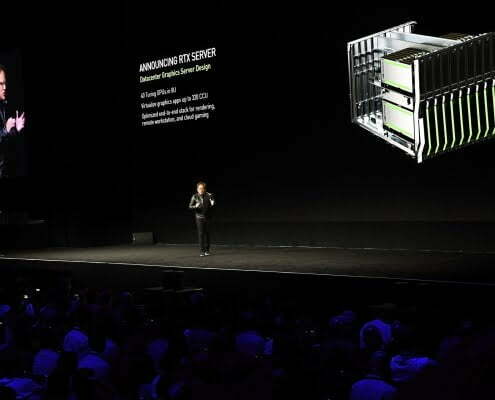 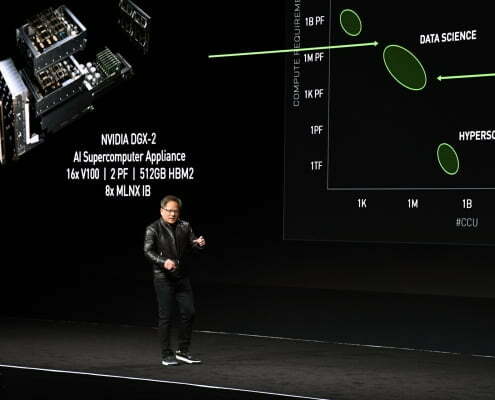 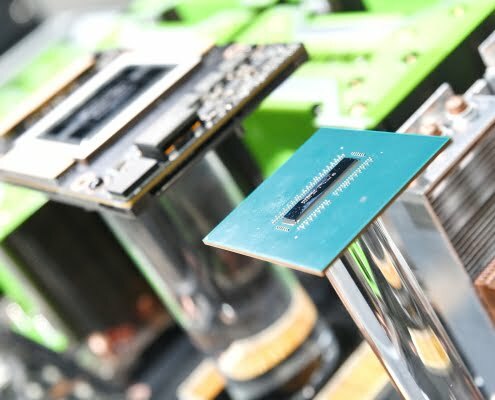 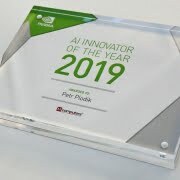 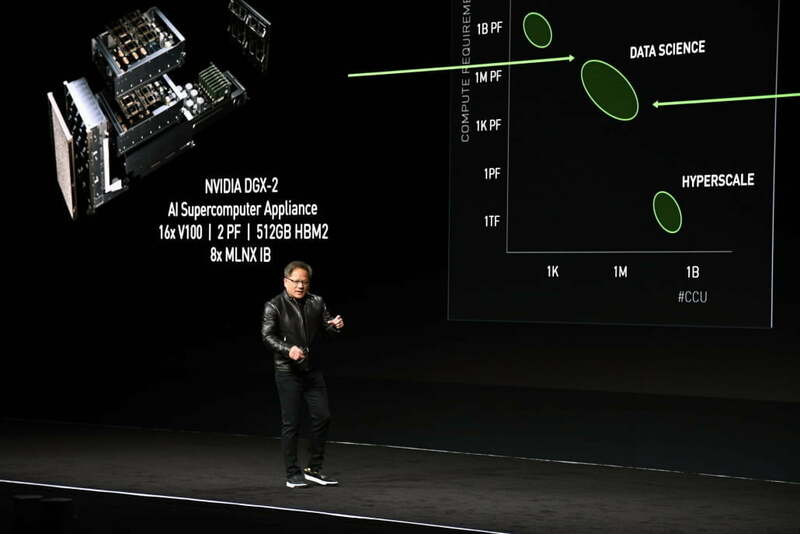 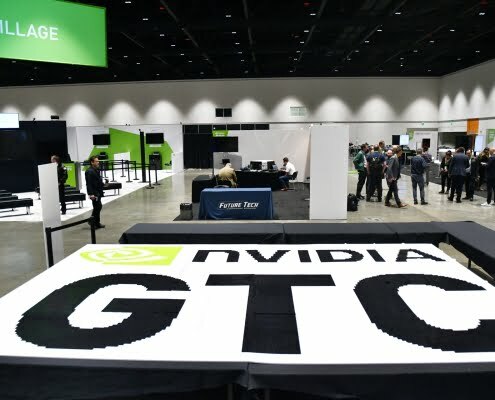 Konference NVIDIA GTC 2019 – M Computers s.r.o. 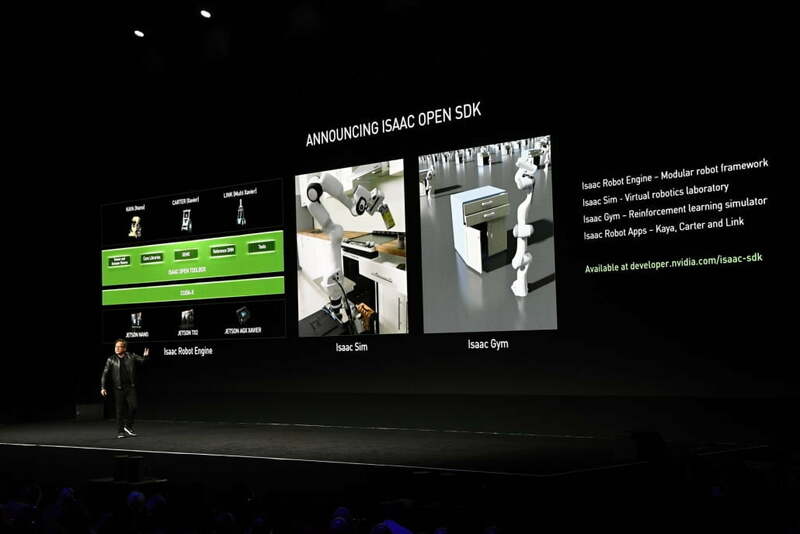 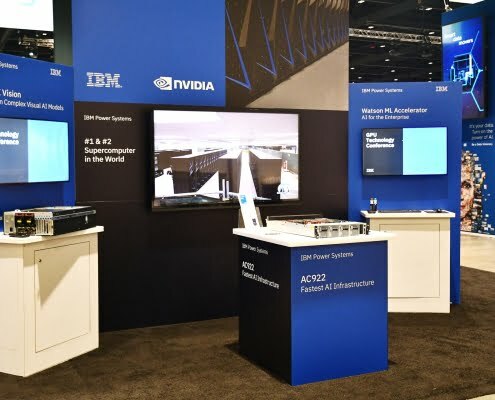 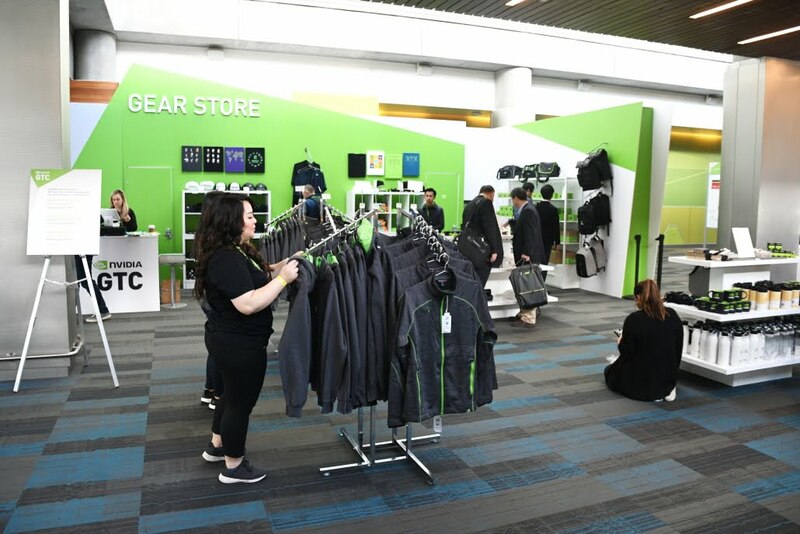 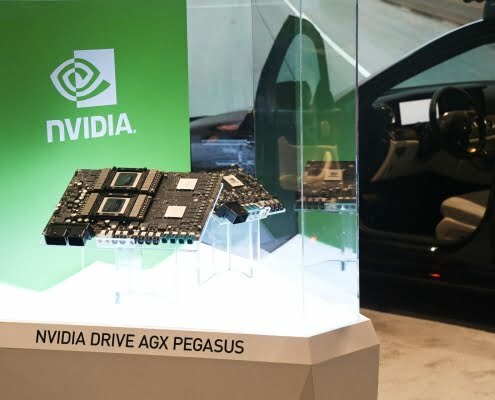 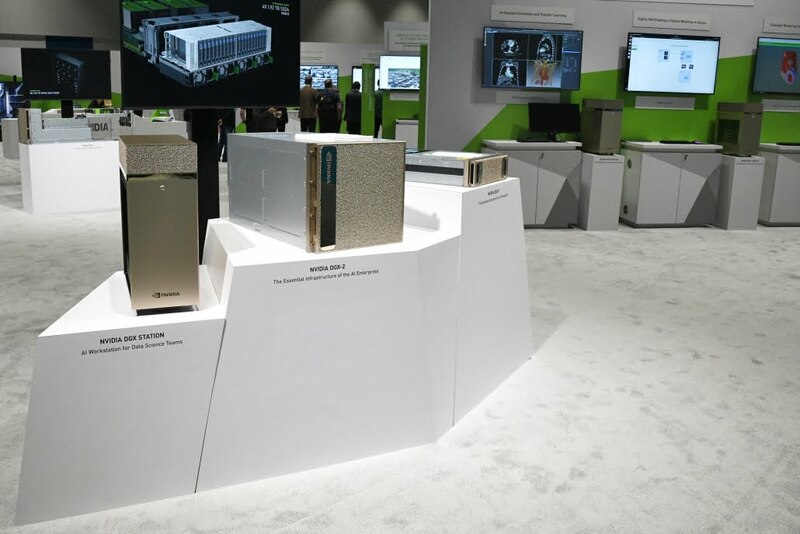 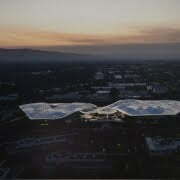 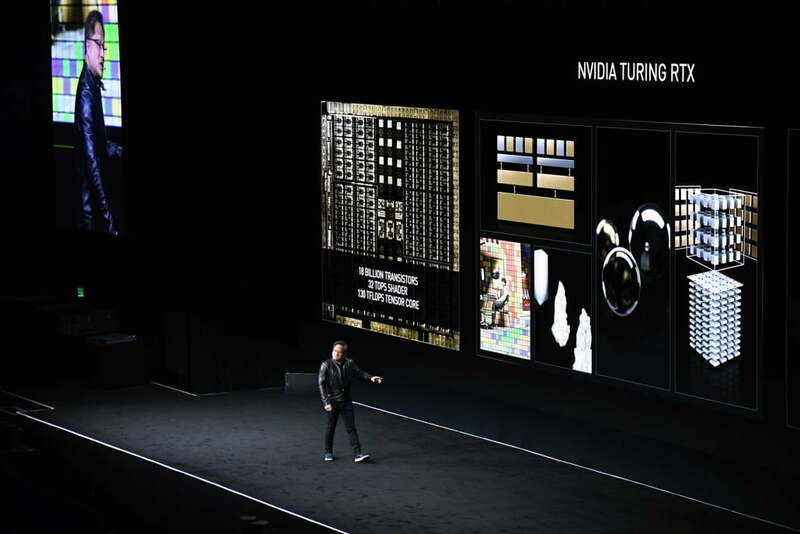 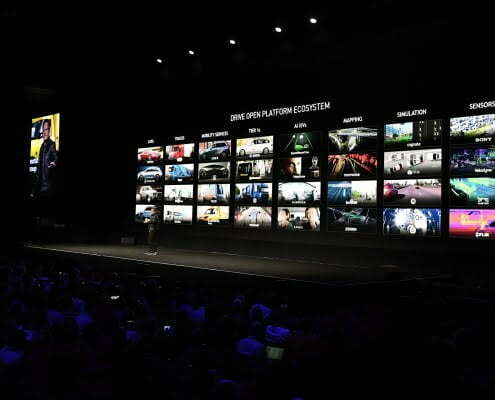 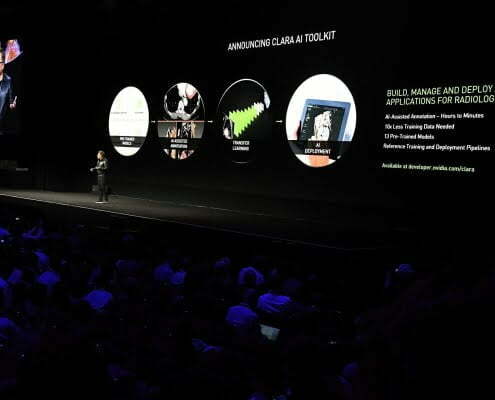 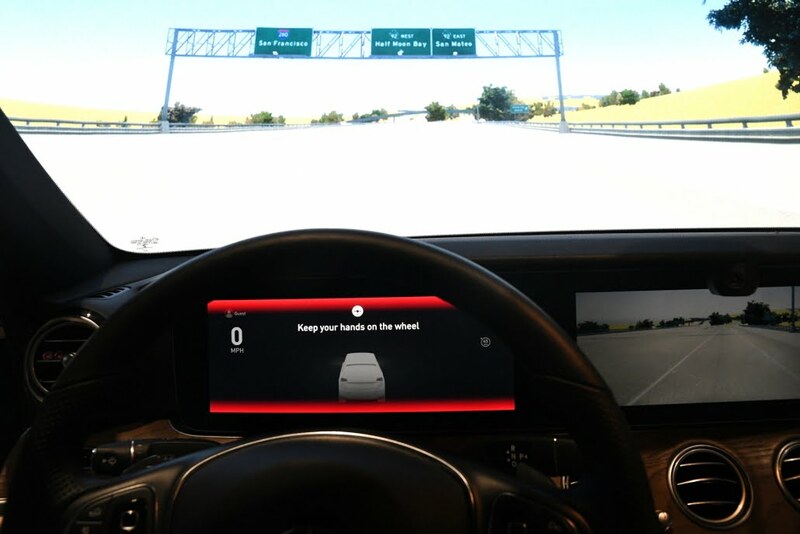 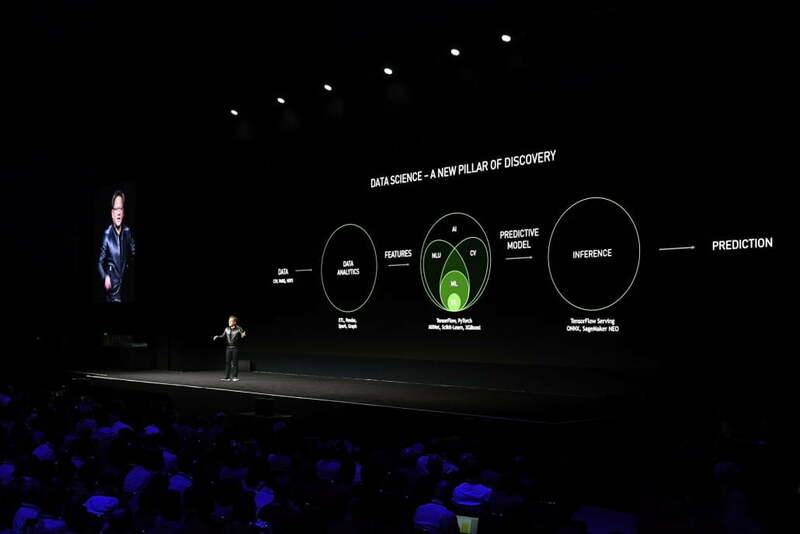 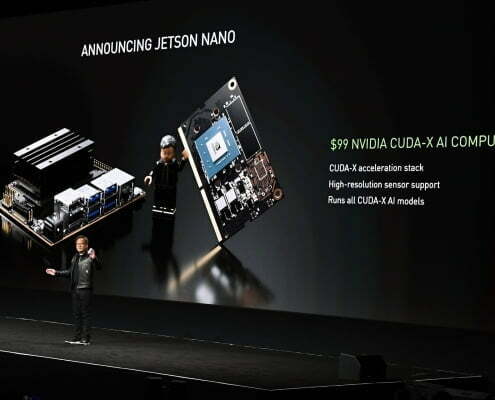 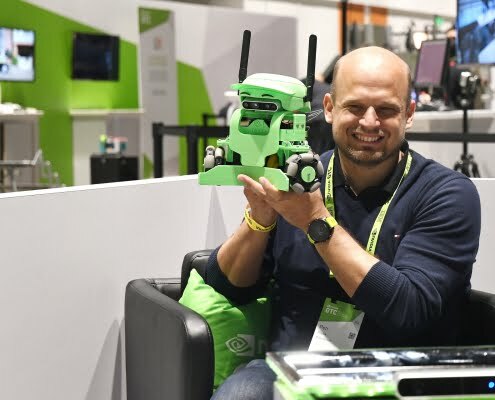 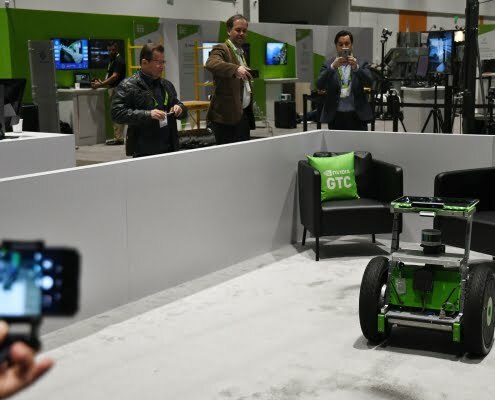 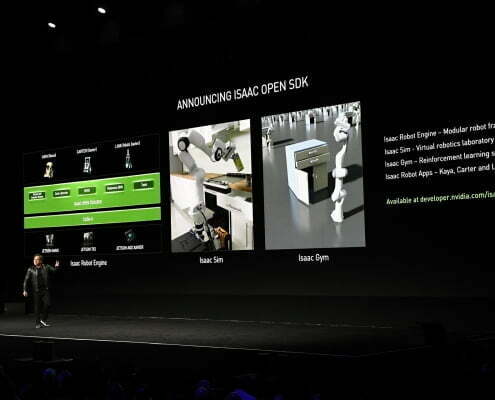 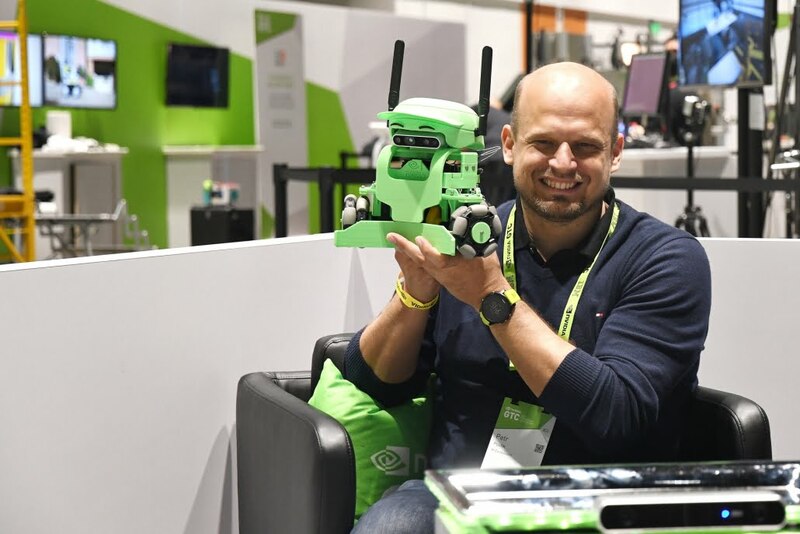 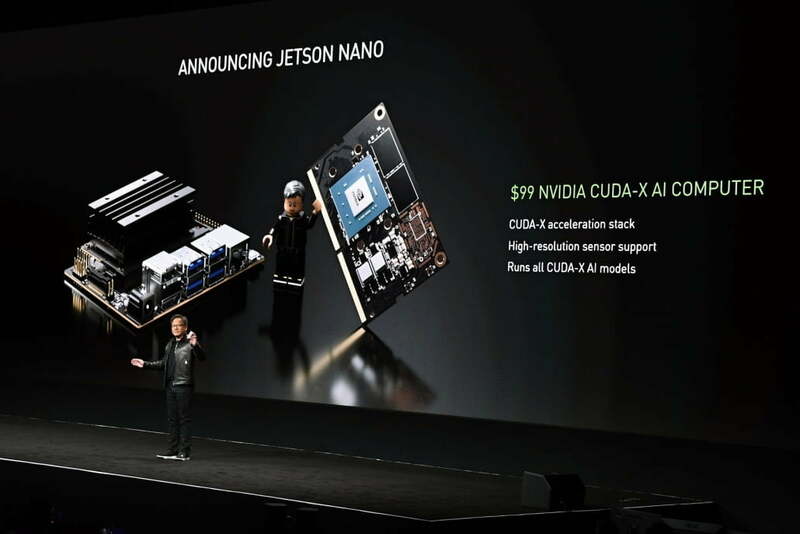 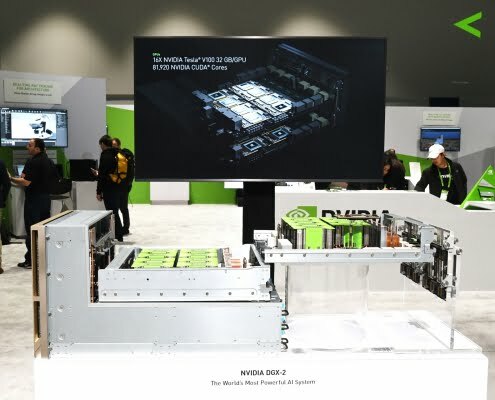 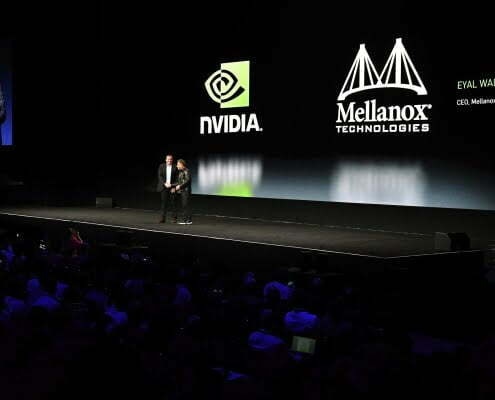 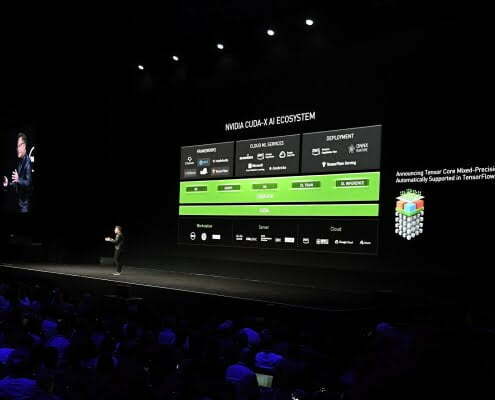 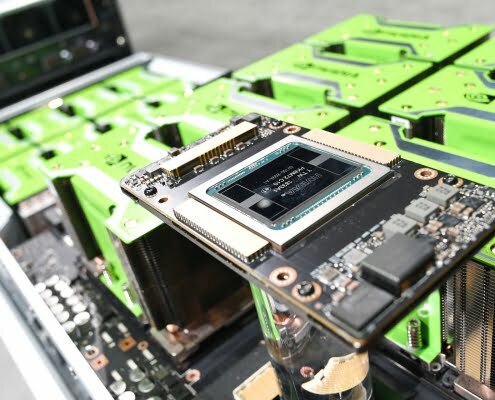 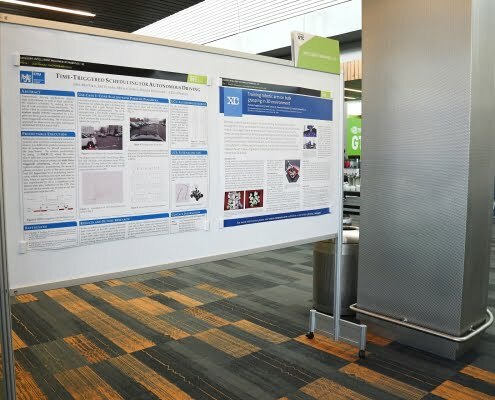 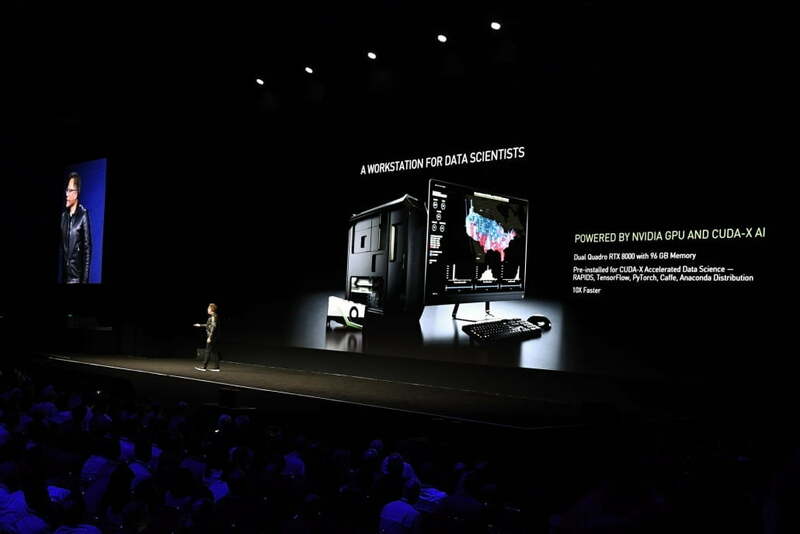 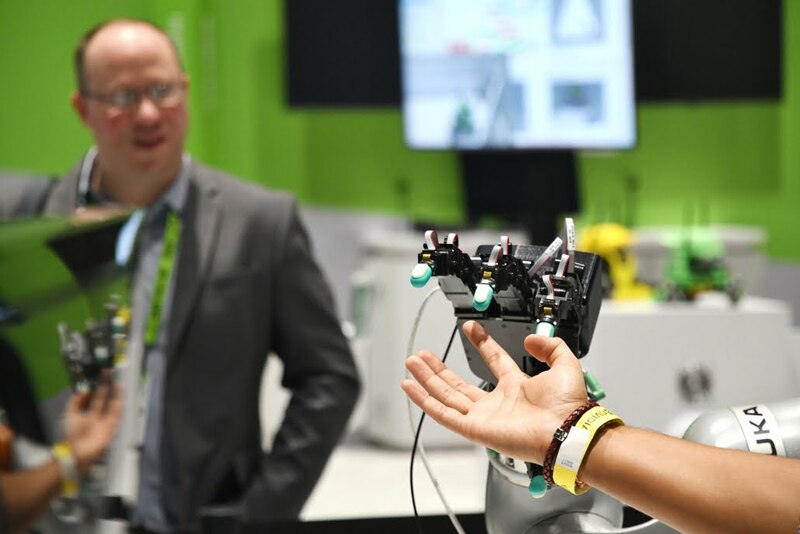 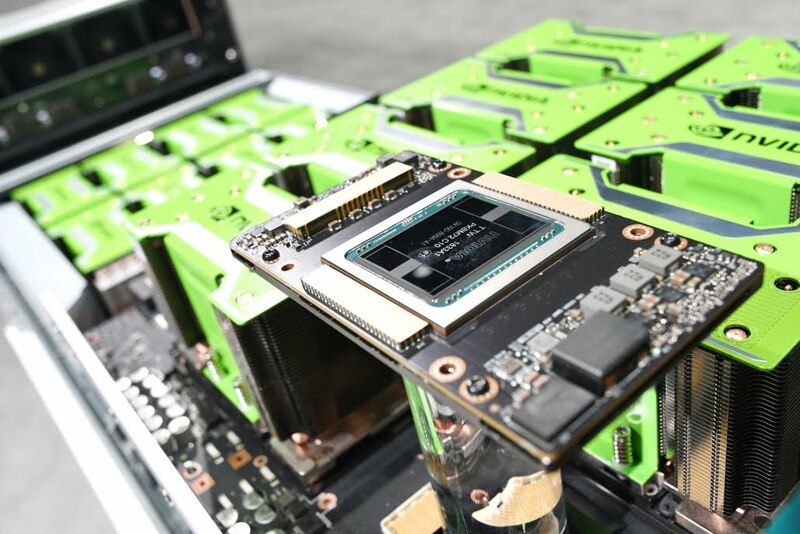 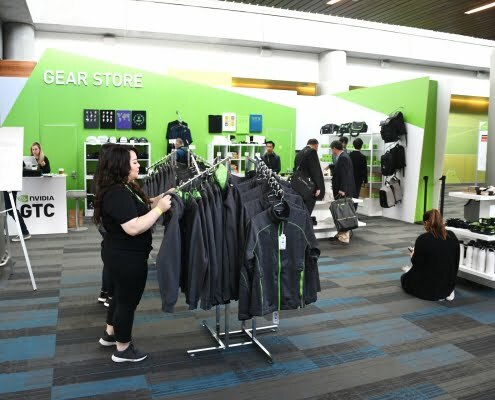 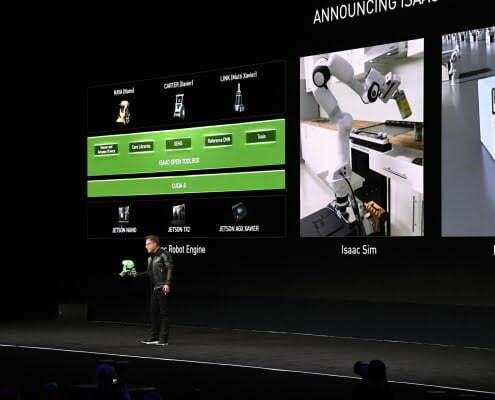 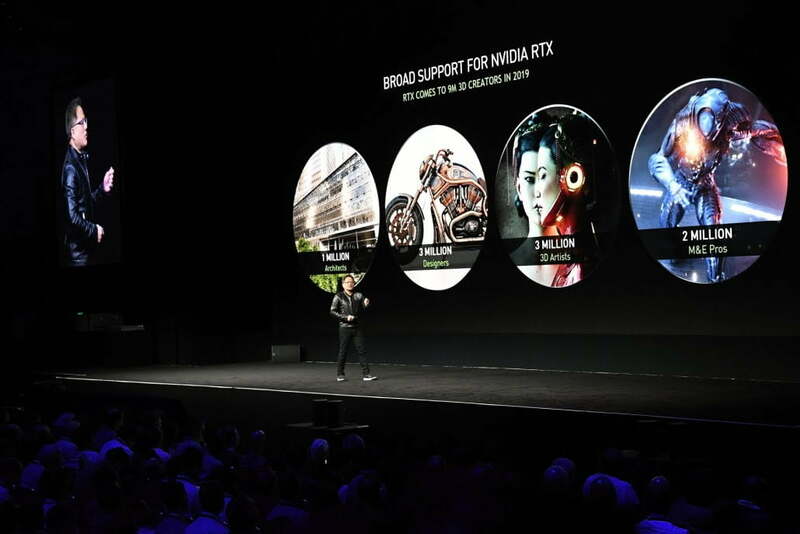 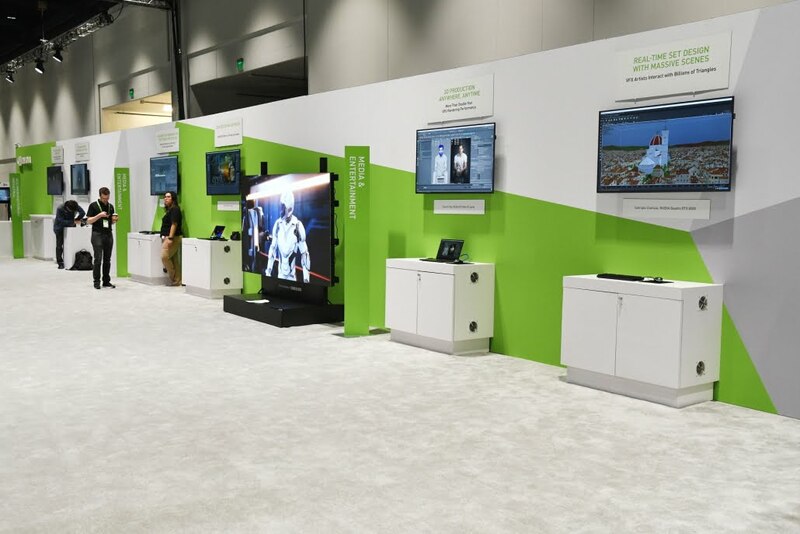 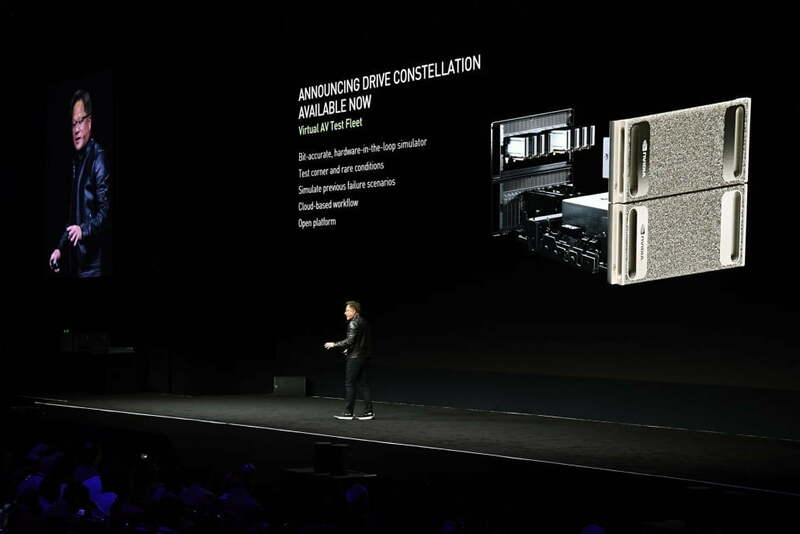 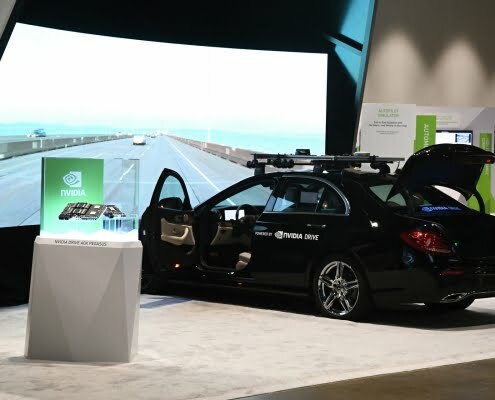 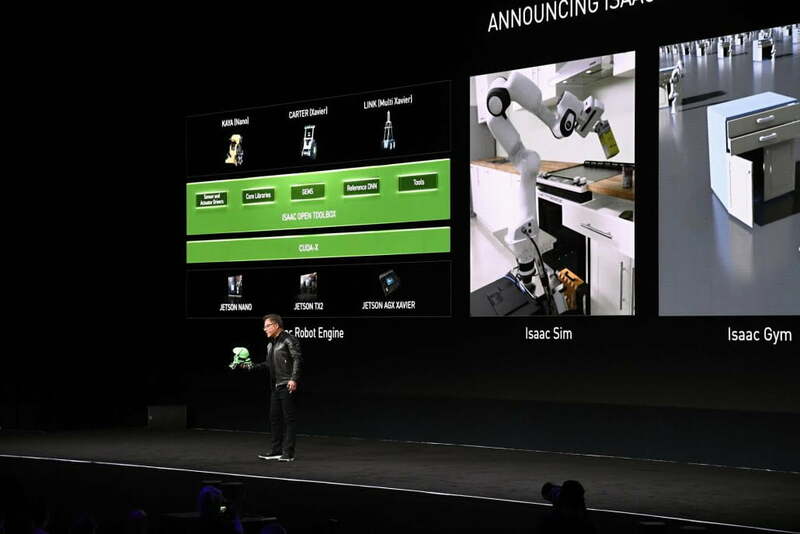 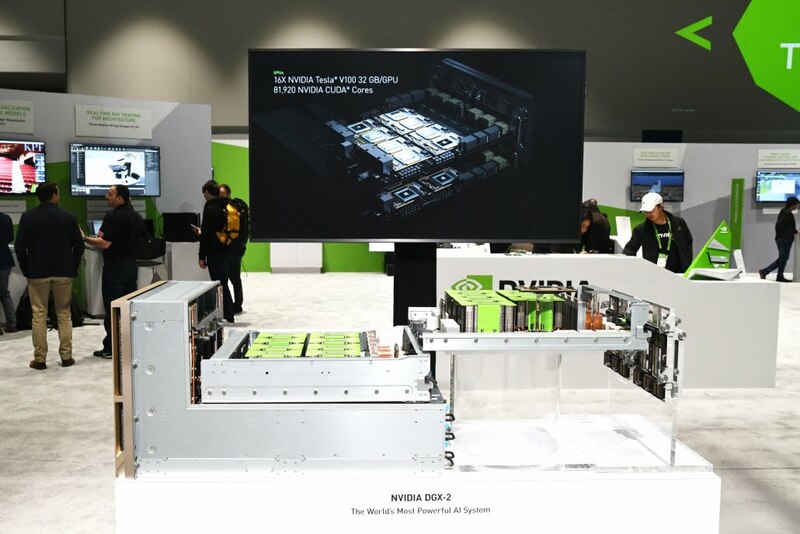 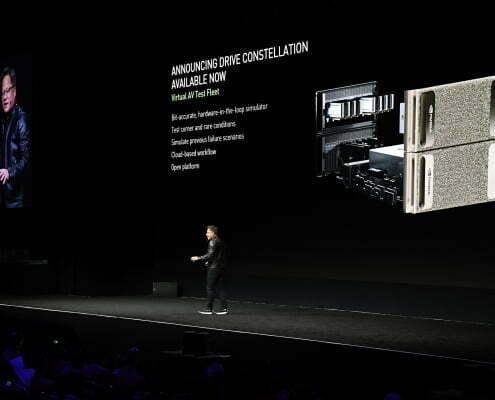 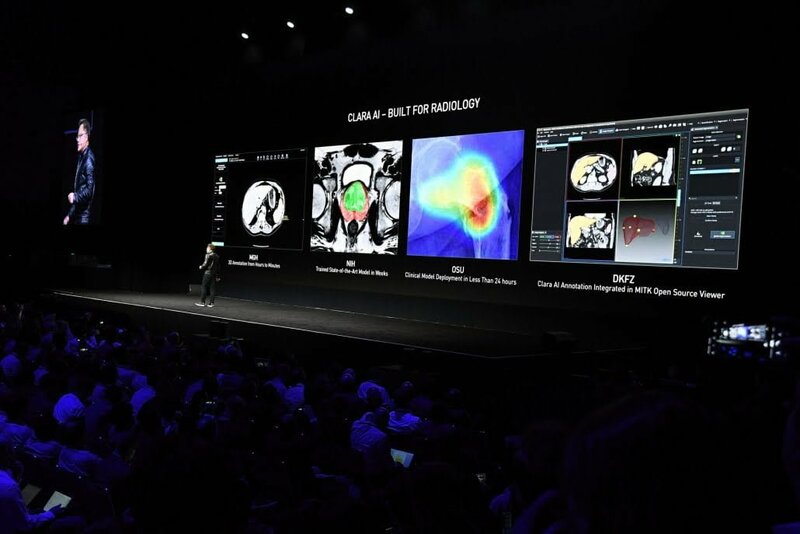 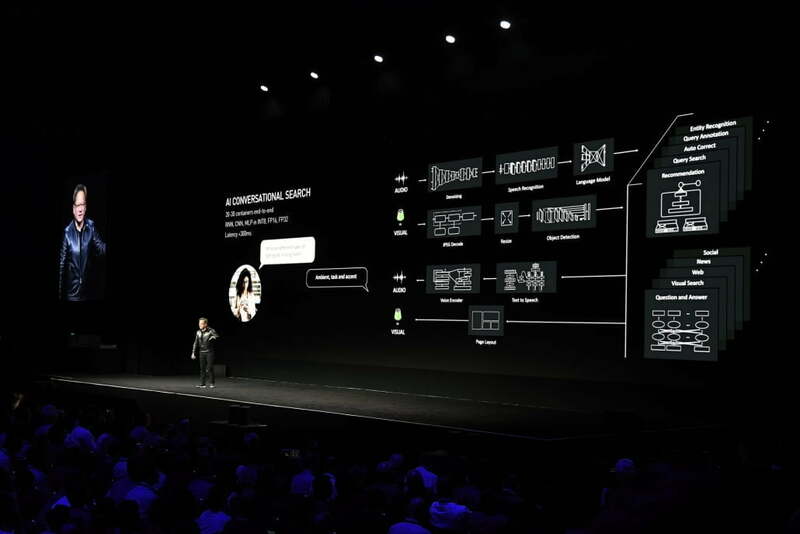 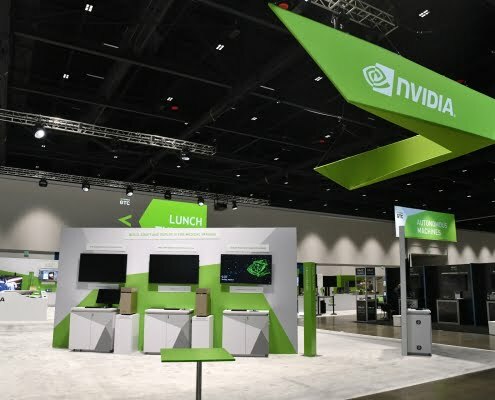 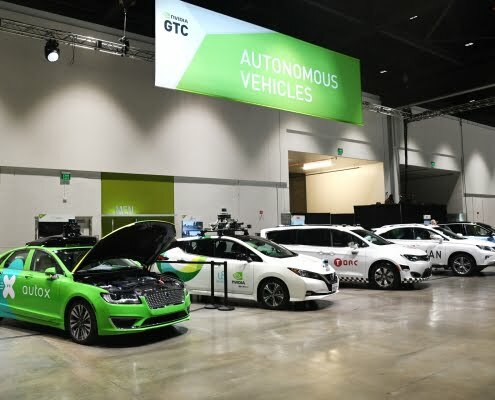 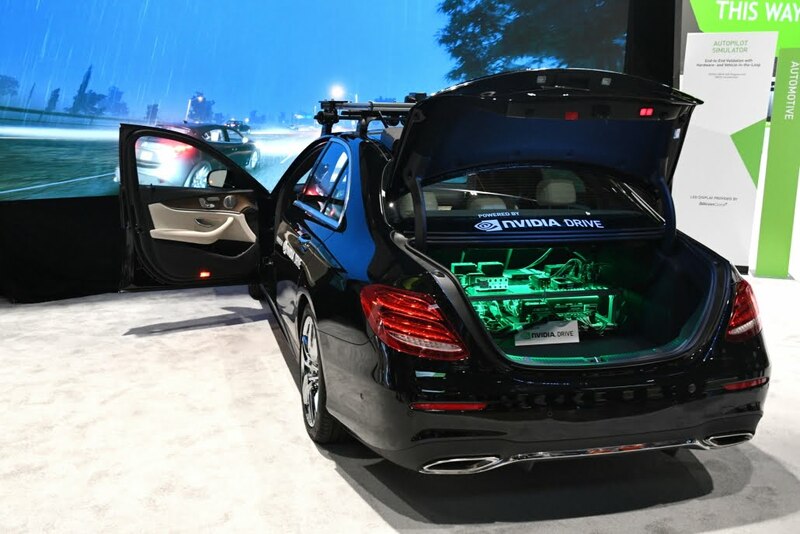 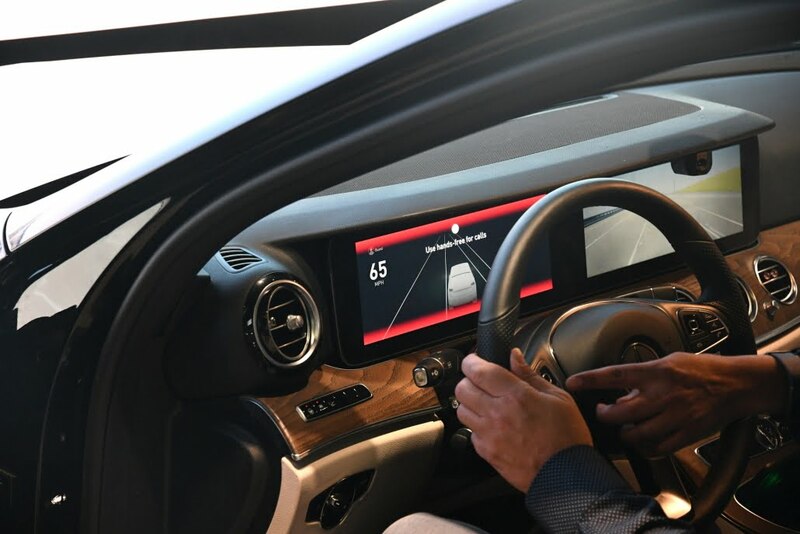 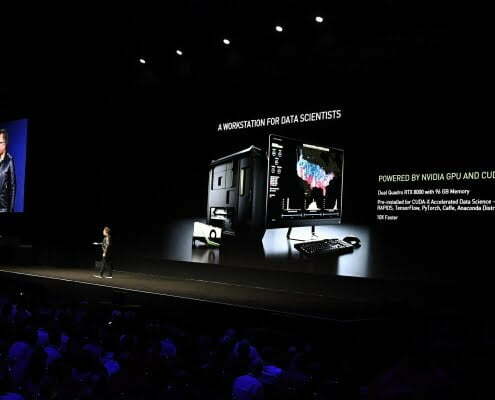 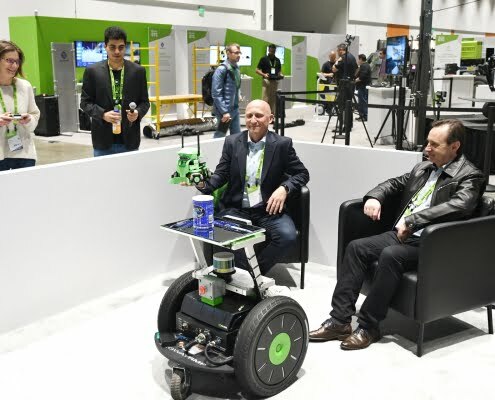 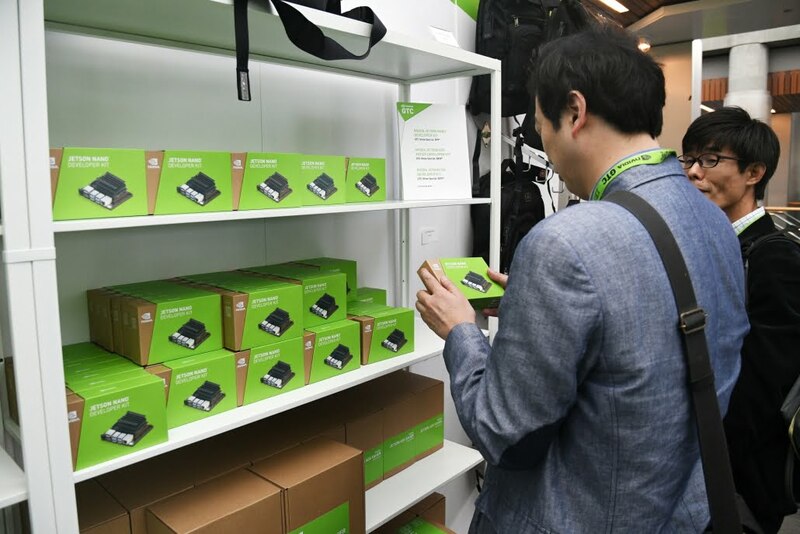 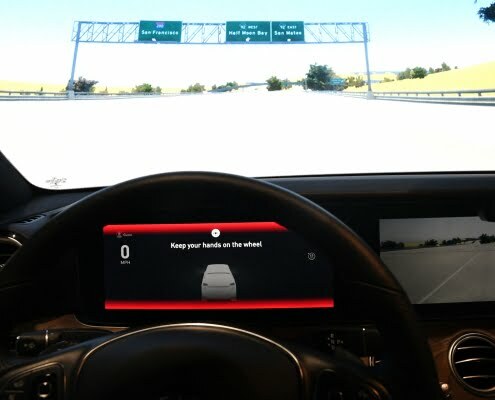 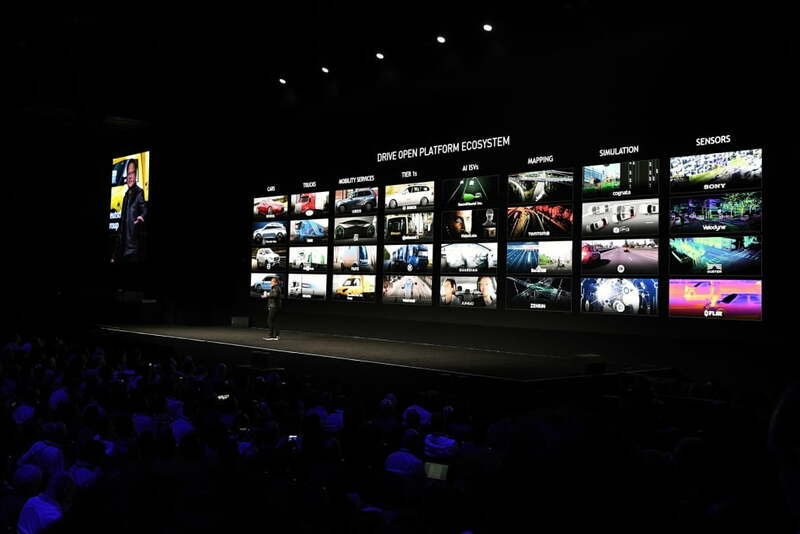 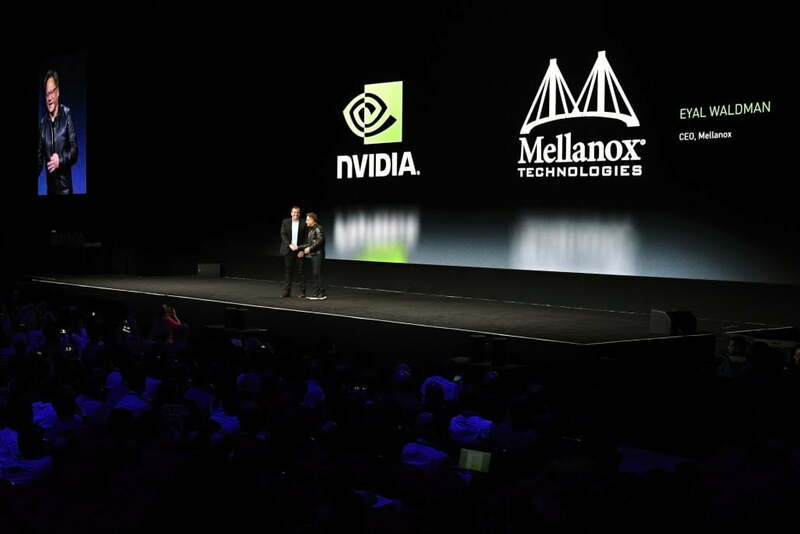 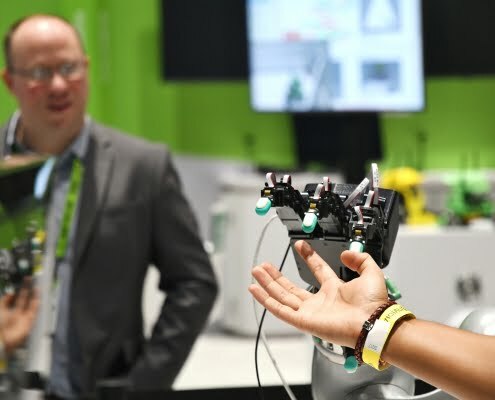 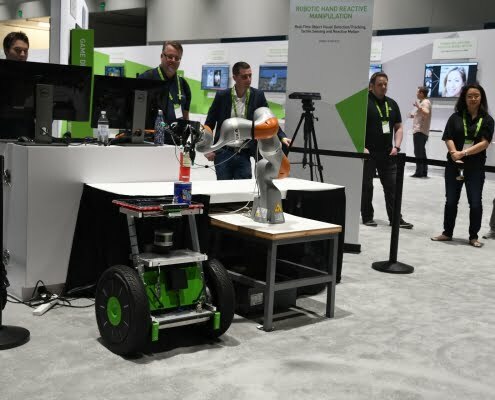 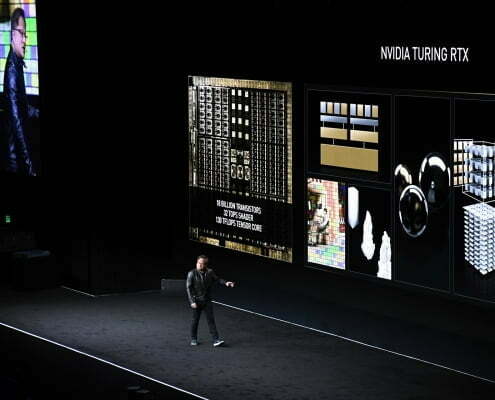 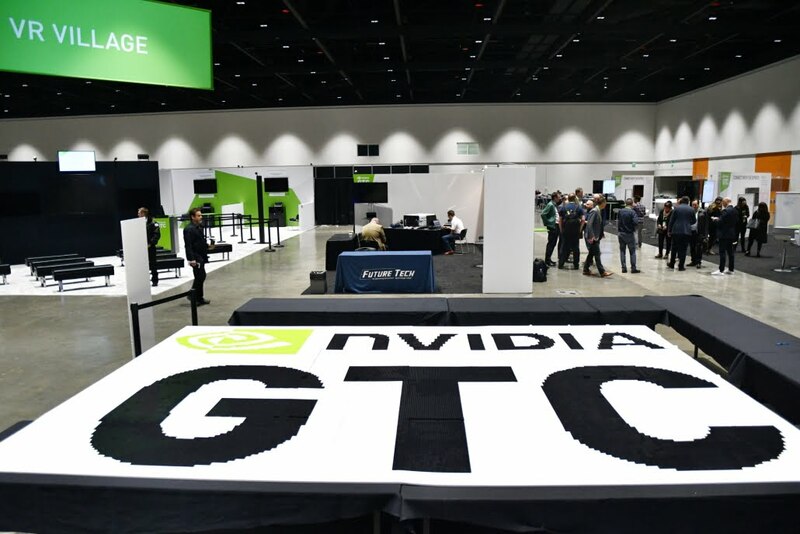 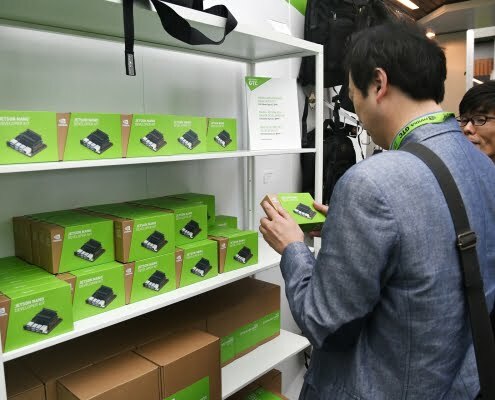 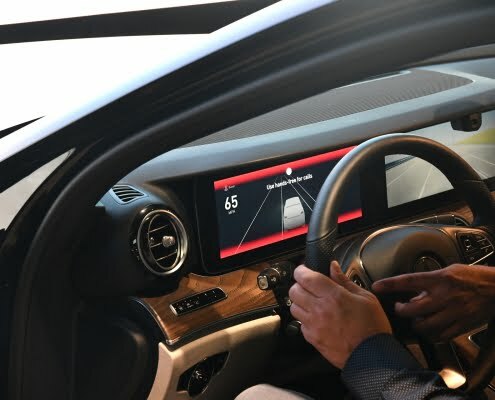 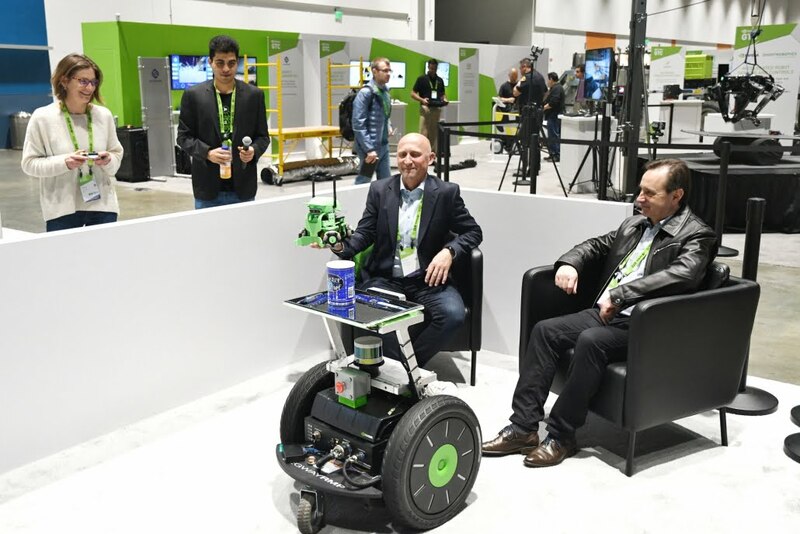 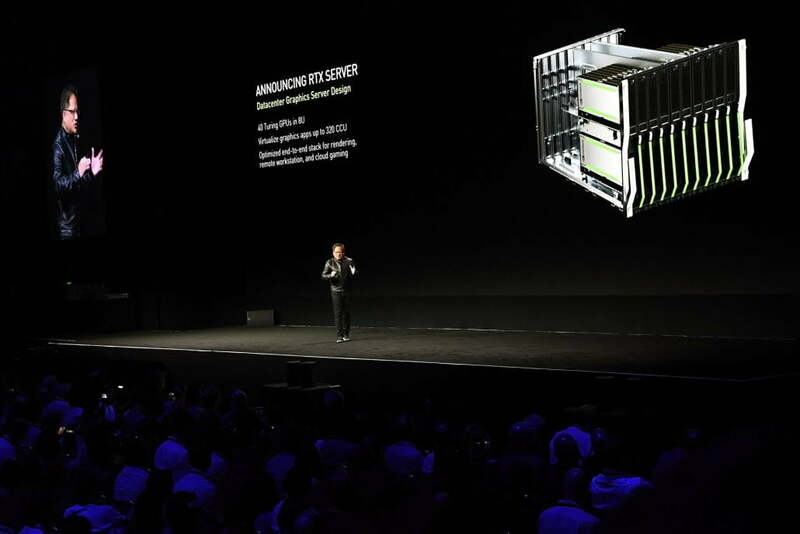 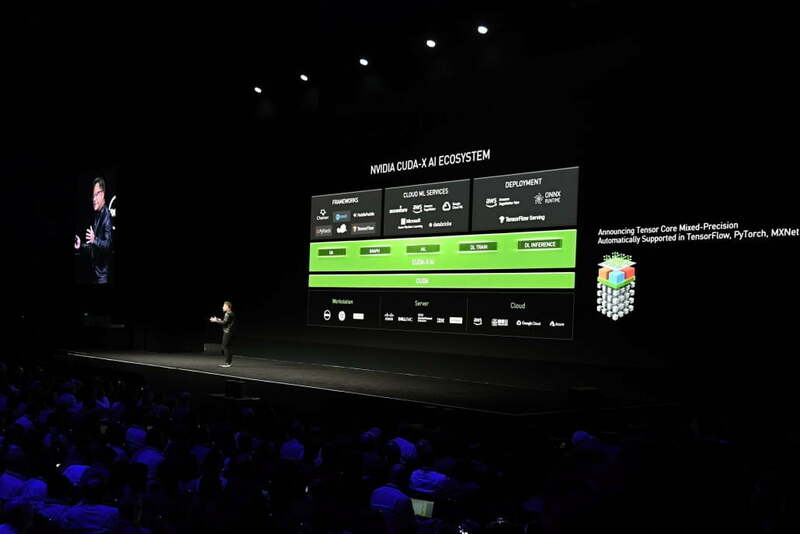 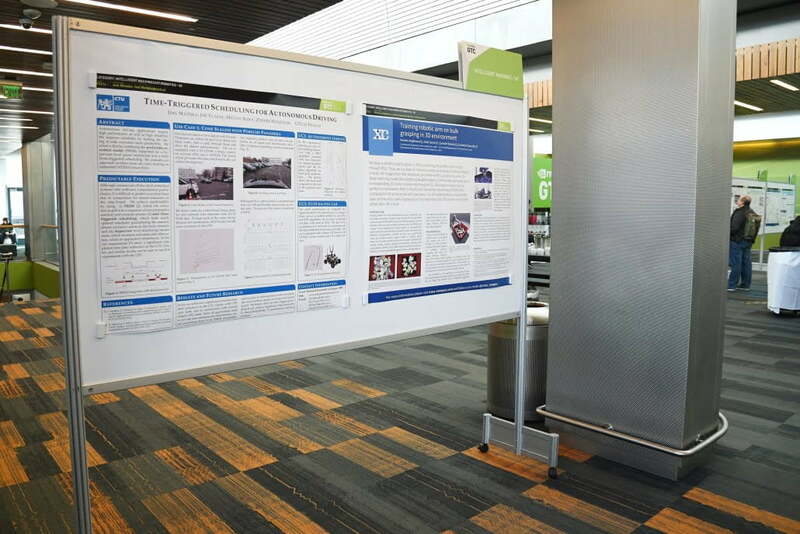 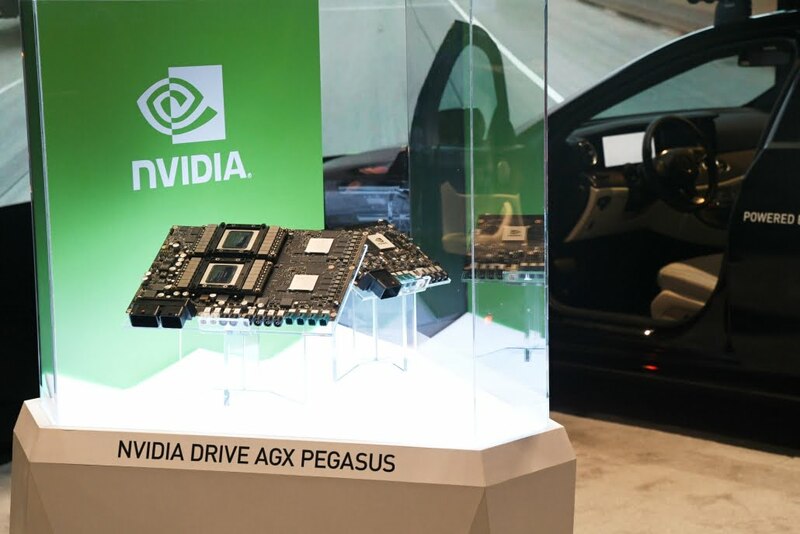 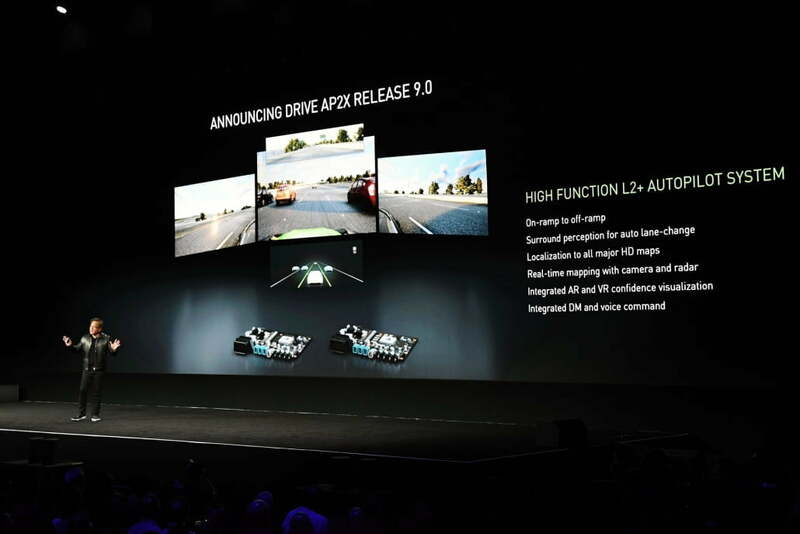 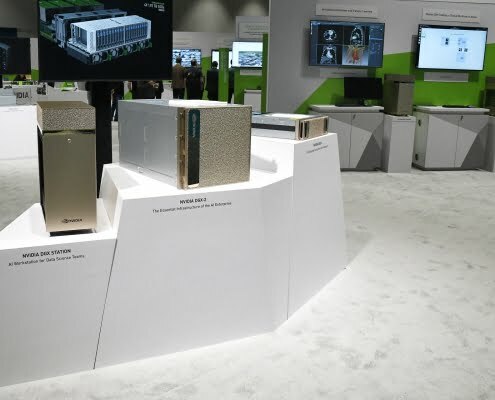 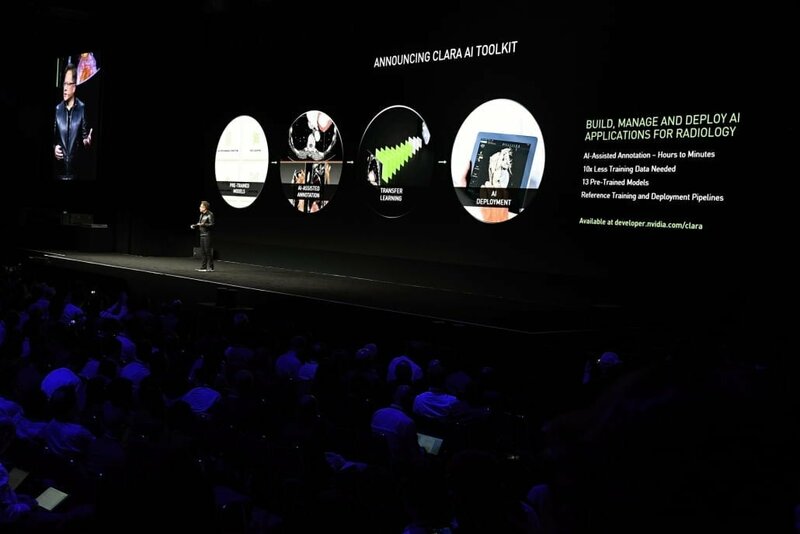 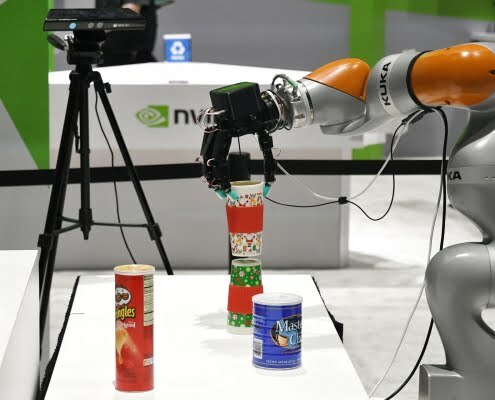 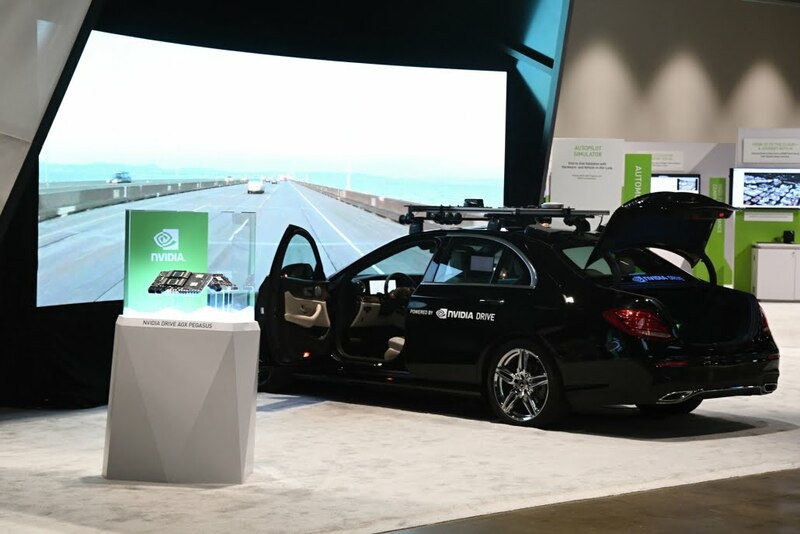 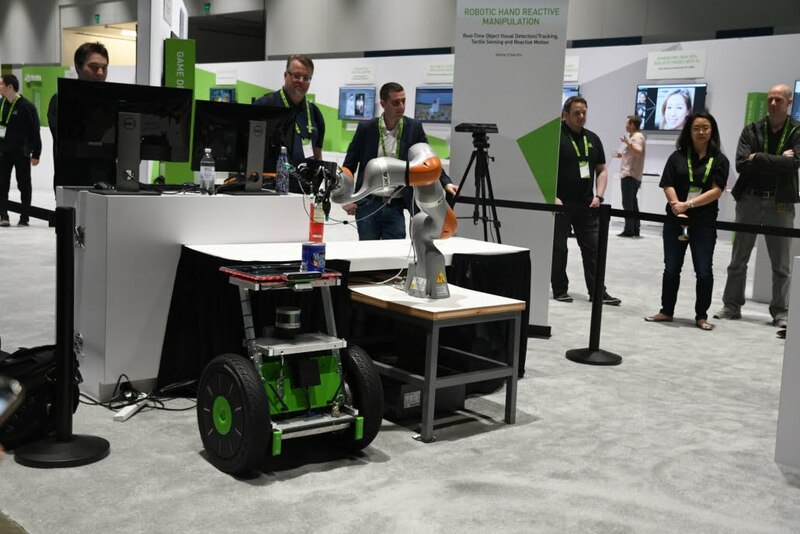 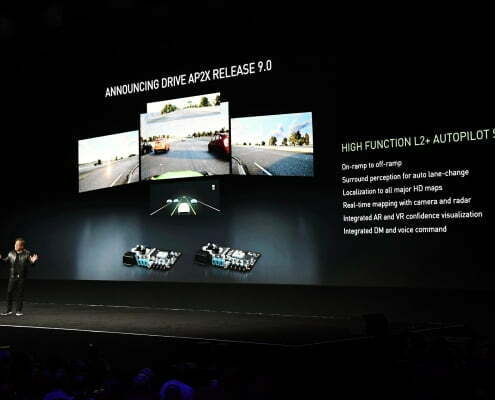 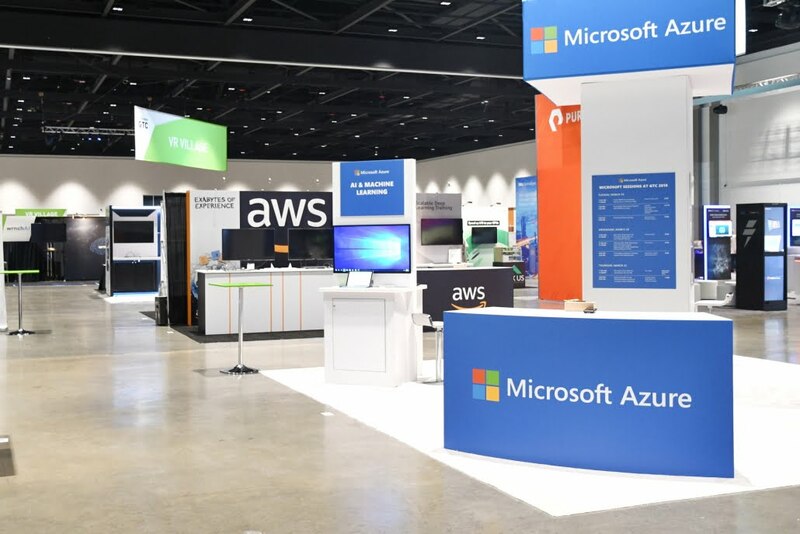 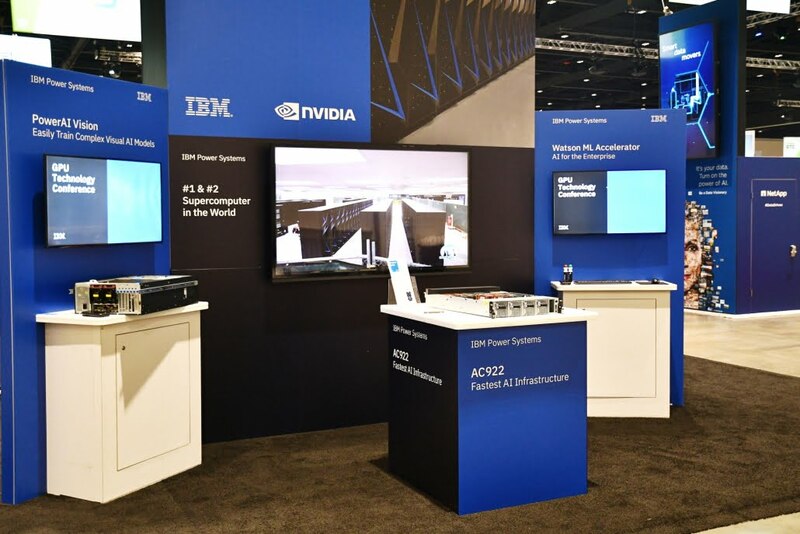 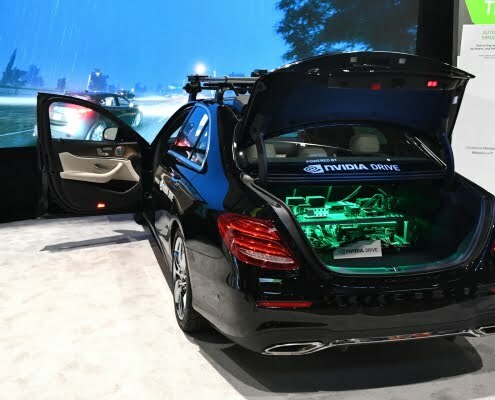 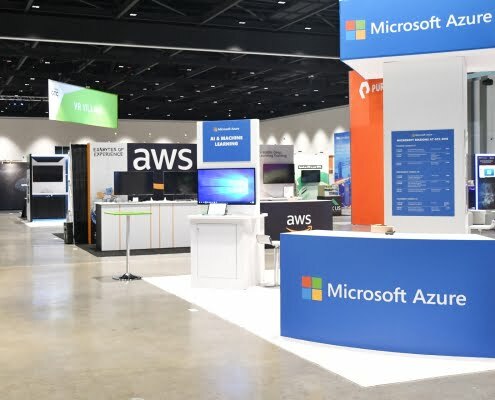 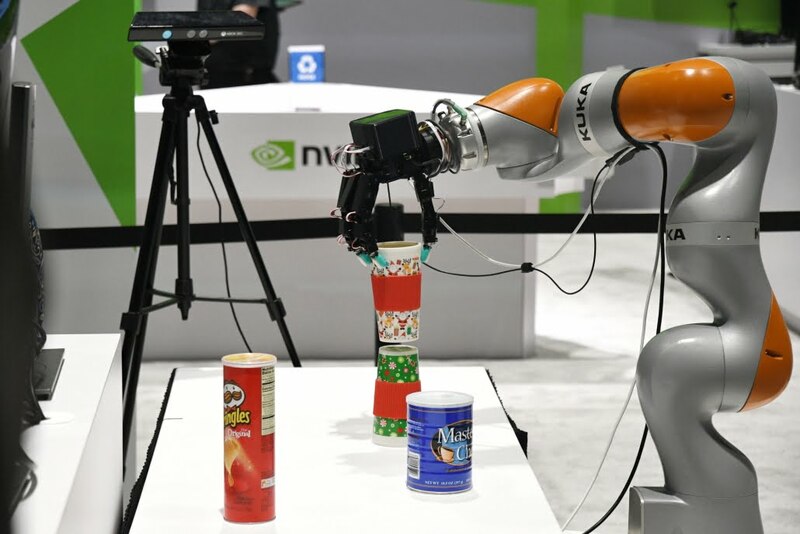 Nvidia Conference GTC 2019 took place in San Jose, USA, from 19 to 22 March 2019. 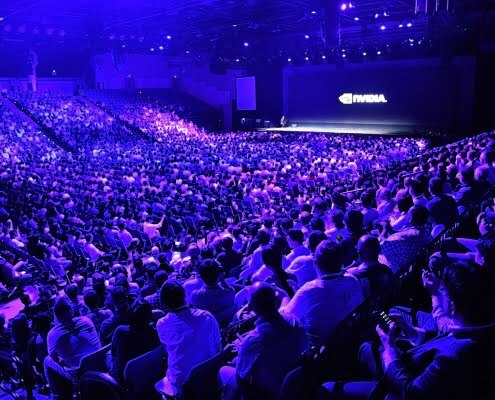 We attended the conference. 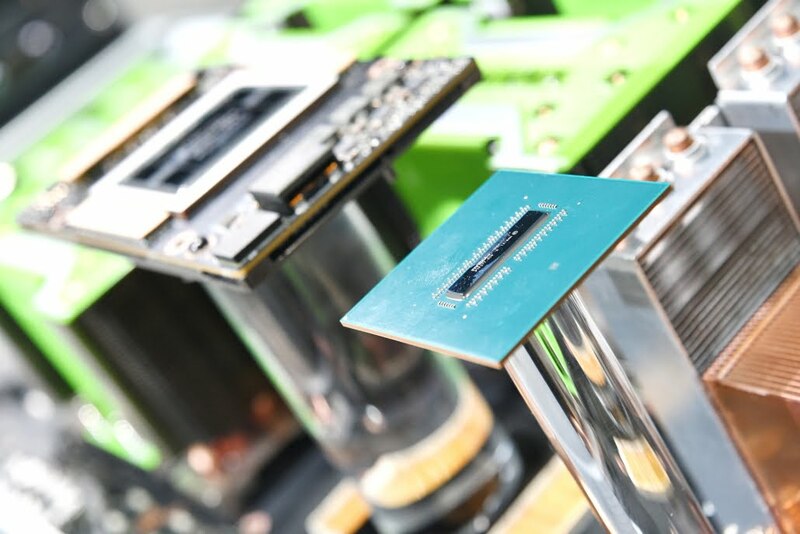 You can find the most interesting insights and news in our picture reportage. 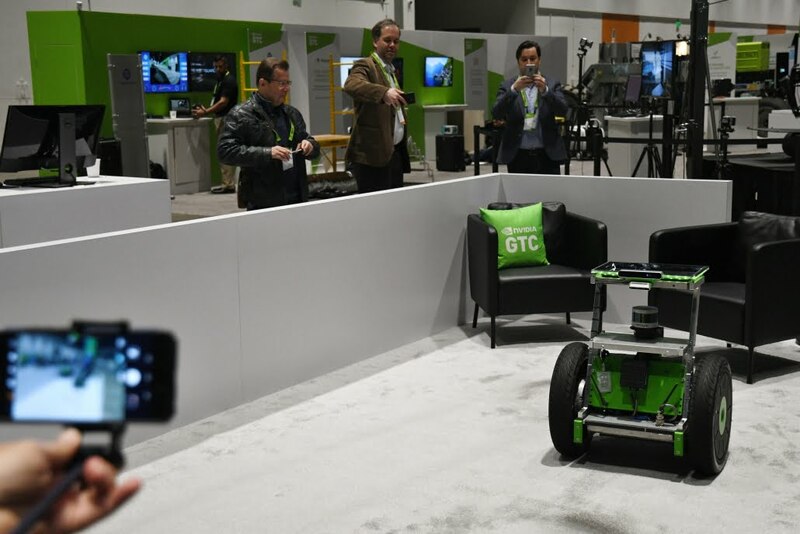 Traditionally, GTC’s founder and chief executive, Jensen Huang, is the founder and CEO of GTC. 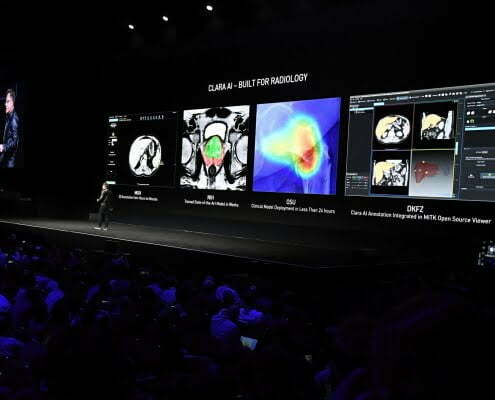 In the end, the two-hour lecture was almost three hours. 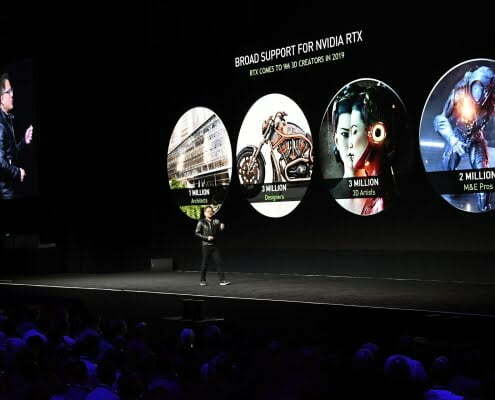 This also speaks of the very wide range of Nvidia currently in use. 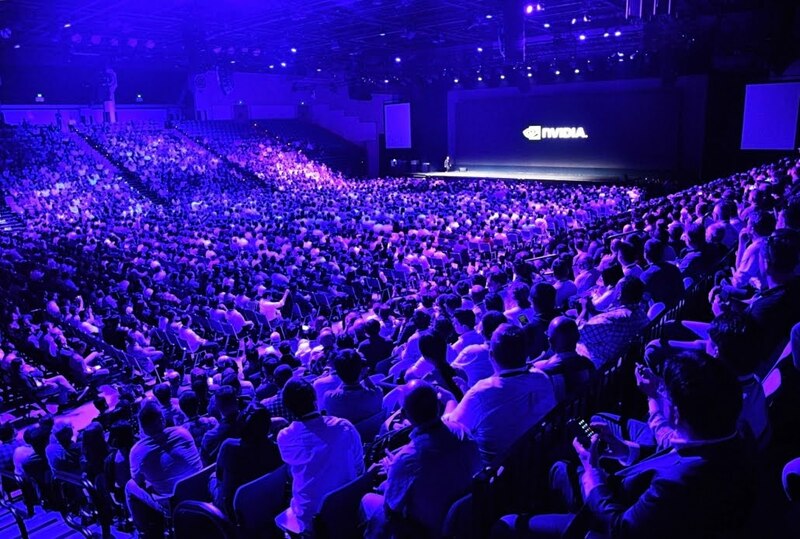 The conference itself offered hundreds of lectures and practical training sessions. 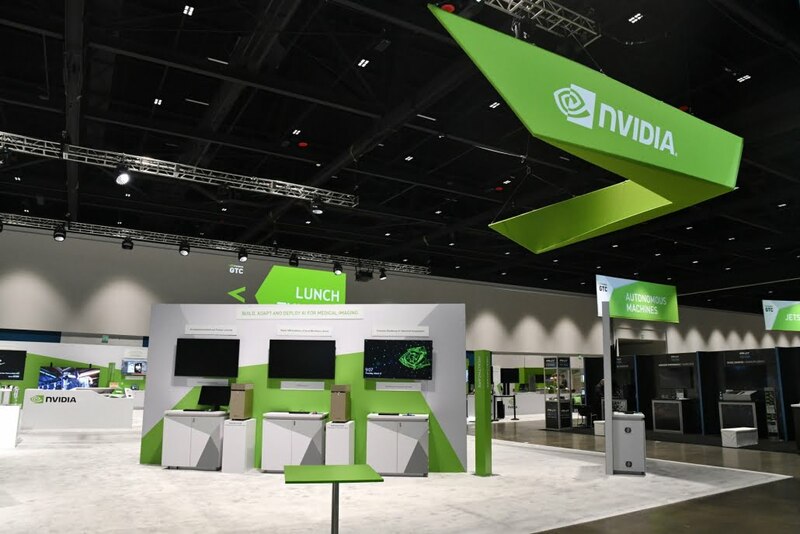 In the expo zone, visitors to the conference could get acquainted with the latest Nvidia technologies and try them out at the same time. 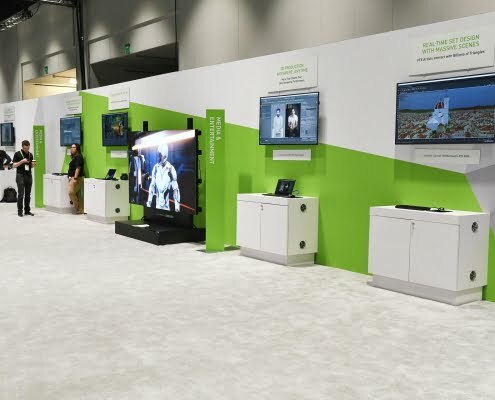 Other manufacturers working with Nvidia also had exhibition stands here. 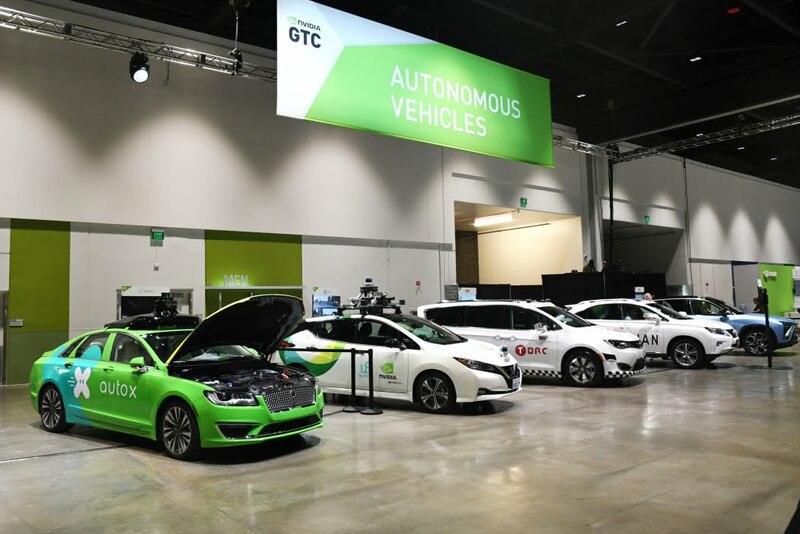 We had the opportunity to visit the Expo Zone of the GTC Conference before it opened. 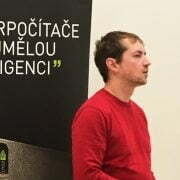 Therefore, do not be surprised that there are no conference visitors at the pictures :-).